Done well, tomatoes on toast can taste like candy. The best tomato toast I’ve ever had was when the tomatoes are still warm from the garden. 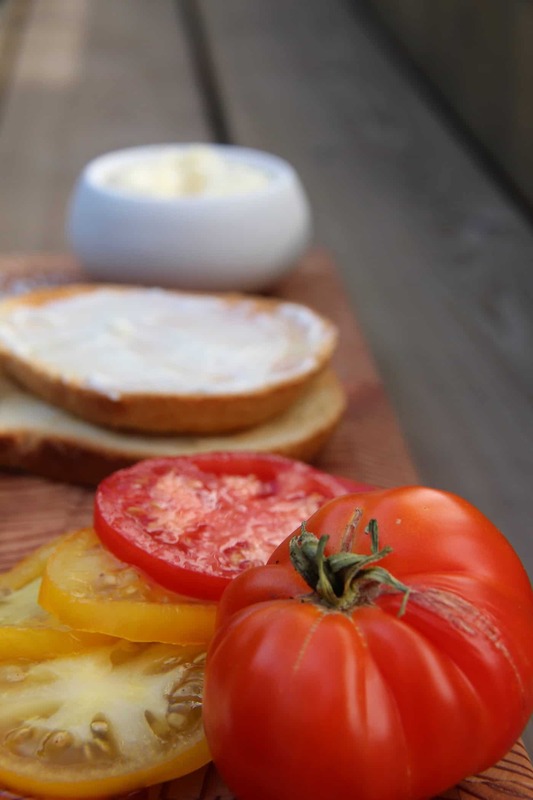 It sounds weird, but trust me, tomatoes on toast are harvest season’s most delicious treat! Like any recipe, a yummy meal requires yummy ingredients. 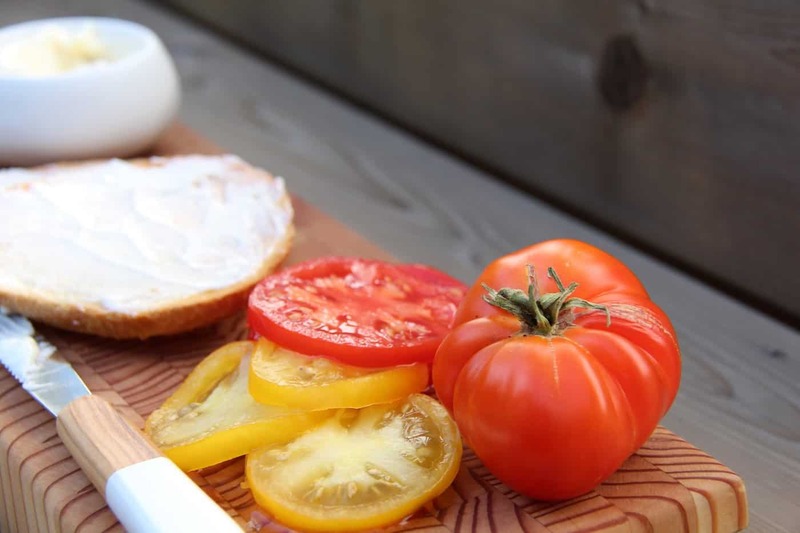 If you make tomato toast with sweet heirloom tomatoes, fresh sourdough bread, real homemade mayo, and beautiful flaked sea salt, it just might be the most delicious snack you make all summer long. 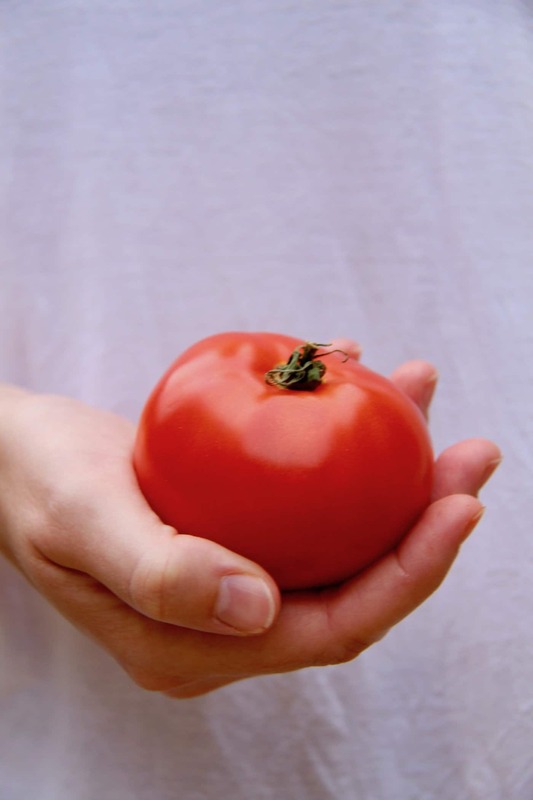 Just one note – please please please do not refrigerate your tomatoes! It makes their texture change and become kind of grainy. That is NOT what we are going for. It also changes the flavour and they are no longer have the magical heirloom tomato taste once they’ve been in the fridge. 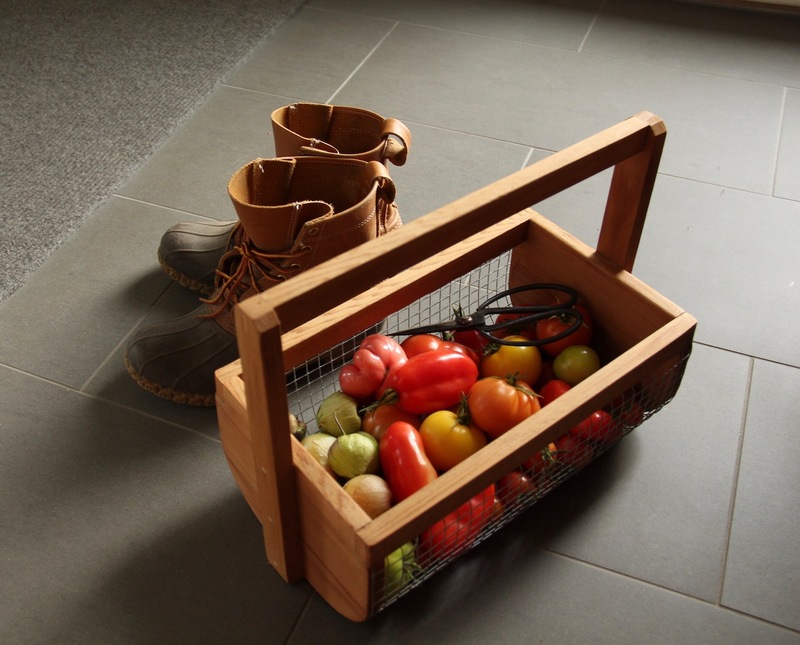 Just leave them on the counter, or better yet, pick them straight from the garden before making your toast. Toast the sourdough until light brown. 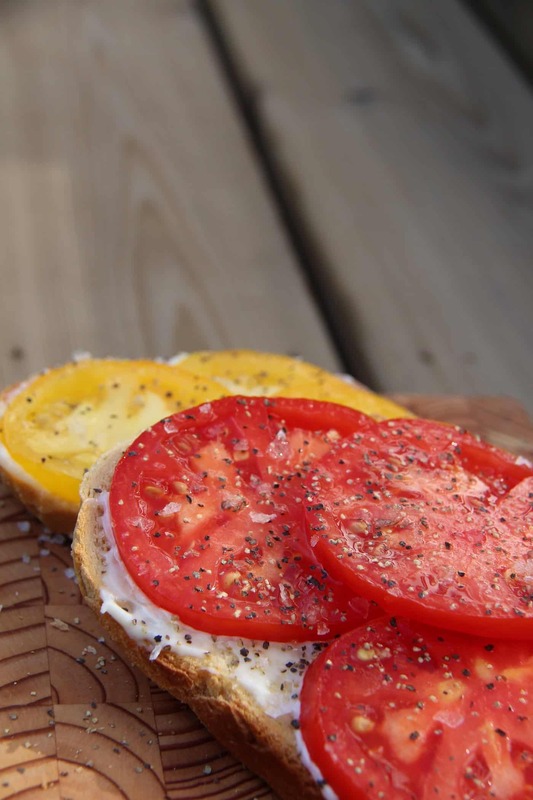 Carefully slice the tomatoes while the bread toasts. Spread a generous amount of mayonnaise on the toast. Add the tomato slices, overlapping them if you like. Top with salt flakes and freshly-ground pepper. Enjoy while still warm! This recipe is simple enough to make while you take a break from fall garden tasks or even out on the deck enjoying the crisp autumn air. Bring some freshly toasted bread out to the patio and enjoy open-faced tomato sandwiches while you enjoy the beauty of the fall garden! 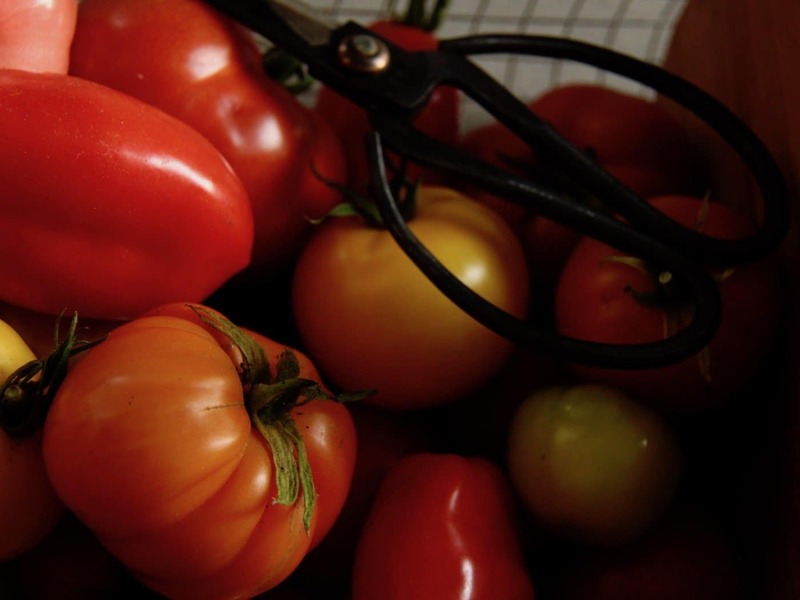 My favourite heirloom tomatoes for this recipe are called “Matchless”. Matchless is an old Burpee variety that has been passed down through the generations. I grew two plants this year and it was not enough! 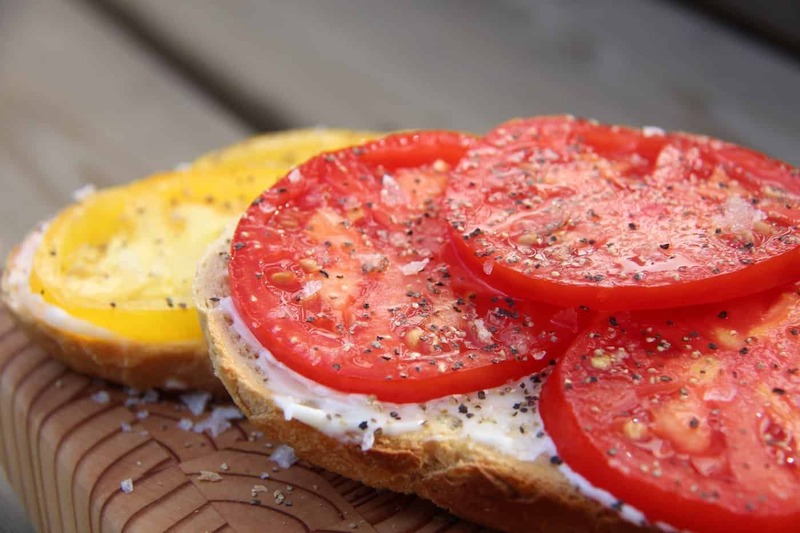 When looking for an heirloom tomato to make tomatoes on toast, choose a sweet type that is good for fresh eating (as opposed to a paste type of tomato). These are generally plump, round tomatoes advertised for their good flavour. Better yet, ask your local farmer at the farmers market for their recommendation!